Aspirants should have complete Graduation and Post graduation degree from recognized university.Post wise eduactional qualificational details refer WBSSC recruitment. Selection of the aspirants will be based on their performance in the consecutive selection rounds of Written Examination followed by Personal Interview which will be conducted by the selection board of WBSSC. You should score the minimum qualifying percentage of marks in the written test are only eligible for attending the Interview process. Duly download WBSSC Head Master Exam Admit Card 2017 from the official page which is must and should for appear for the selection. 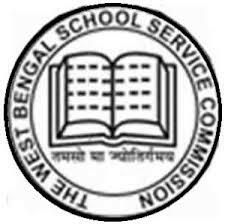 § Job searchers who wish to apply for WBSSC Jobs needs to go on official site that is http://www.westbengalssc.com. § Hit “Careers / Recruitment” tab from the menu bar of the home page. § Find the appropriate job link for which you are interested. § Read all information and instructions given on the advertisement carefully. § After reading complete instructions carefully aspirants have to press on online applying link and fill application form with all required and mandatory details. § Also, upload digital images of signature and photograph, if required. § At last, take a printout of the online application form for further use.